In the last 8 years the CMS market has become lavish in a multitude of solutions (there are CMS that we have not been able to mention before like the excellent Traffic, Good Barry, Pligg, Mambo, Typo3, Plone, Drupal, Expression Engine, and a huge etcetera ) Although the essence is the same. But what exactly is a CMS? A content management system (Content Management System or CMS for short), is a computer software or a collection of tools by a support structure (framework) is used to manage network information services. With its multifunctional help, one can manage the formatting, cataloging, storage and retrieval of information, even without the need for users to have too much technical knowledge. It should be noted, however, that the application of CMS is not limited to webs only. The wikis (information services within companies) and groupware systems are also considered CMS. CMS has a wide field of action, since it can be used by libraries, newspapers, online stores, academic activities, universities, shopping centers, commercial blogs, etc. This precisely reveals its high commercial qualities, since it is possible to personalize it and add content of interest according to the public potential to which it is directed, can be an important sales tool or visits within what is known as e-business, E-commerce or e-marketing. Its effective operation has an additional attraction for another important reason: they have several useful modules for websites such as chat, blog, forum, search engine, languages, navigation map, and social networks, meaning useful and fruitful spaces for connection with the public. But it is not the only thing. Another potential is that they can be optimized with tools such as Google Analytics, which allows us to constantly monitor the behavior of our site and extract ideas to boost the business. Or apply optimum techniques and intelligent to achieve an adequate positioning in the search engines, taking into account that the positioning is highly linked with the volume of content managed within the site. They are compatible with the different browsers available in the different platforms, are easy to manage and configure from any place where there is an Internet connection, and well executed, can offer valuable information instantly. Joomla-drupal-wordpress The CMS world is almost infinite. To mention all its peculiarities would make of this article an endless and to some extent absurd exercise. Therefore, we can classify their number according to their characteristics, and their use and functionality. As for the first one, it is subdivided into CMS according to the programming language used (such as Active Server Pages, Java, PHP, ASP.NET, Ruby On Rails, Python, PERL) That is, for those who have no restrictions and are free, and those who are not, although less professional). On the second, the CMS are determined by their degree of reach and utility. Thus, they can be present in blogs, forums, wikis, on-line teaching, electronic commerce, diffusion of multimedia content, et cetera. Regardless of technical criteria, the second point can give us a better idea of ​​what a CMS is for. Let’s look at a daily example. The page of Radio programs of Peru, trade or any well-known news portal, has a wide and continuous traffic not only of multimedia contents and text, but also of the comments and connection to the social networks that they possess. Although they do not sell products, they sell image, so the appearance and immediacy of what is seen is a priority. In contrast, we have a page dedicated to the sale of perfumes, clothing, or second-hand sales case Kotear, Mercado LibreOr some other. Of course, intentionality is another. The page must have excellent support not only to offer the products, but also to photographically look good and motivate the sale. And another nature will have the website of a university for example, which in addition to information and qualifications for the Intranet motivates forums, sponsors job boards, exhibits titles from your library books, and more. And just as in these cases, the requirements for an audiobook blog, a shopping center page, or a public institution, change according to their goals and the degree of complexity required by their designs. The next one leads directly to another important point: the type of Content Management System to use. Although there are many, we will highlight at least the most popular, which are not necessarily the best but the most recognizable. WordPress-logo WordPress: Turned into a powerful CMS in its own right in the latest versions and certainly the most popular. Although initially was developed as a platform for blogging, with WordPress you can even create sites that do not have a blog at all, and only use it as a CMS to create static pages. WordPress has the highest usage rate at 15.70% for a number of reasons, is very easy to use, has a large community, tons of templates, and payment plug-ins for extensibility. Joomla-logo Joomla: One of the most popular available for medium to large sites that need more flexibility and features. 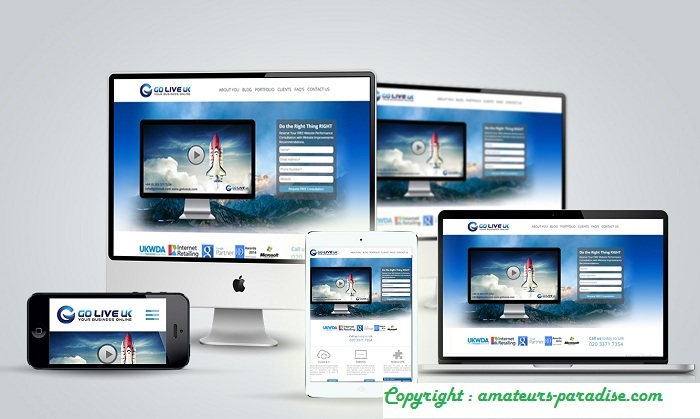 Some consider it still the best multimedia CMS, and it is also very good for e-commerce and high traffic sites. Although it is not so easy to use or start up, its good use will ensure you have everything configured according to your taste. For advanced functionality might be the best option, although it usually takes time to make it work as the user wants. Drupal-logo Drupal: Very solid, it is known for its high stability and withstand high traffic with very few problems. It is the most difficult to install and configure as it requires advanced knowledge and technical expertise. However, what Drupal has in stability, it lacks in terms of community size, ease of use, available templates and numerous plug-ins. In spite of everything, Drupal plug-ins tend to be of a higher level of quality and reliability. Recommended for advanced projects if you know how to handle it. Blogger-logo Blogger: A simple blogging platform for people who just want to create a blog fast. This is not an advanced CMS, but it is a free and easy to use blog. The problem with using a service like Blogger is that you do not own the blog, that is, if you violate the terms and conditions automatically loses blog management. However, its popularity and ease of use are unquestionable. Although we have already said, let us repeat: The acquisition of a CMS must take into account important aspects such as level of satisfaction of needs, community structure, price, capacity to support traffic, speed, and above all, take into account the Best system according to who is headed. Obviously, the use of a commercial blog or a personal blog have different requirements and therefore, the solutions will vary. Since we are a blog oriented marketing solutions, we will be inclined to recommend the best for a web with a dynamic CMS instead of a static one, as they make intensive use of the database (images, multimedia, text, links, Among others), and effectively uses a set of templates to compose or render their visual appearance in real time. On the other hand, another important thing is that the creation and storage of content is done directly on the server (online). Undoubtedly, an important point to take into account when deciding for a dynamic CMS (Joomla or Drupal for example). Another thing to mention is that a good CMS, optimized for marketing and / or eCommerce, must immediately modify any content of the site with supervision of the administrator, provide registration for users, access to differentiated services in private area, segmentation of content between public site And private site, blog format for notes, with comments from visitors, print or “send to a friend”, online documents, agenda, and so on. Finally, to the extent that a customer builds an efficient website with a solid CMS that meets their requirements and positions their product, the arrival of thousands of people more than a tedious or occasional process will be an opportunity for more visits and propagate the idea of a powerful content. In that sense, we can tell you that with our CMS Solutions, you can find the momentum you need for your company and your web material. Not only will you be able to control the updating times of your website, but also improve your Marketing campaign, inform your company’s course agenda, get immediate feedback from your visitors, raise your website level, redefine it graphically and much, much more. We are Staff Creative. We want to be your success alternative.